Erik Peper, Ph.D. is an internationally known expert on biofeedback (applied psychophysiology), holistic health and stress management. He received his BA from Harvard University in 1968 and his PhD in psychology from Union Graduate Institute in 1975. Since 1976 he has taught at San Francisco State University (SFSU), where he was instrumental in establishing the Institute for Holistic Health Studies, the first holistic health program at a public university in the United States. Dr. Peper is President of the Biofeedback Foundation of Europe and past President of the Association for Applied Psychophysiology and Biofeedback (AAPB). He holds Senior Fellow (Biofeedback) certification from the Biofeedback Certification International Alliance (BCIA) and was the behavioral scientist (sport psychologist) for the United States Rhythmic Gymnastic team. In 2004, he received the California Governor’s Safety Award for his work on Healthy Computing and the 2005 Sheila Adler Award from AAPB for his efforts to support and encourage student participation. He is a recognized expert on stress management and workplace health and has been featured on ABCNews.com and in GQ, Glamour, Men’s Health, the San Francisco Chronicle, Shape, and Women’s Health. Dr. Peper lectures and teaches frequently all over the world and has a biofeedback practice at BiofeedbackHealth in Berkeley, California. His research interests focus on psychophysiology of healing, illness prevention, voluntary self-regulation, holistic health, healthy computing, respiratory psychophysiology and optimizing health with biofeedback. 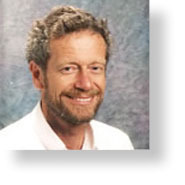 He is also an author of numerous scientific articles and books such as Muscle Biofeedback at the Computer, Make Health Happen, De Computermen and Biofeedback Mastery–An Experiential Teaching and Self-Training Manual. He is co-author of the book, Fighting Cancer, published by North Atlantic/Random House. He publishes Peper Perspective-his blog on ideas on illness, health and well-being. Dr. Peper consults to WujiTech and assists in collecting research data to enhance WujiTech's software solutions.